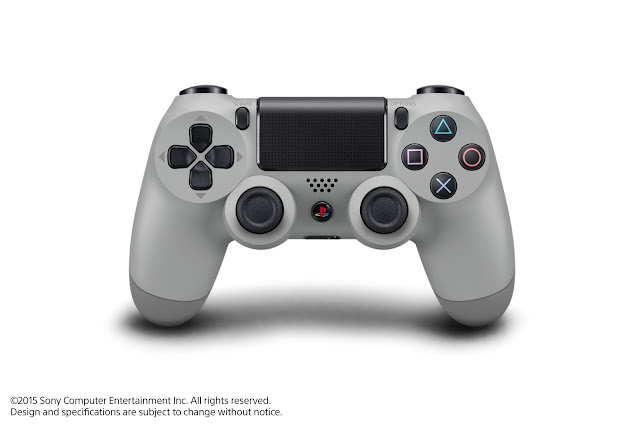 The DualShock 4 Controller 20th Anniversary Edition will be released in Singapore on Sep 17 2015 at a SRP of SGD $67.90. "DUALSHOCK 4 Wireless Controller 20th Anniversary Edition” comes in the iconic “Original Gray” finish with the four-color PlayStation family mark emblazoned on the PS button. Users will be able to enjoy games and other entertainment content with this truly special Wireless Controller that combines the sleek DUALSHOCK 4 style with the original PlayStation console design". No updates on the 20th Anniversary Edition headset however.. Hopefully we will get some news on that soon..